One of the keys to making money in any creative field is giving your customers a variety of ways they can interact with and support you. On one end of the spectrum is free stuff -- for you that might be free MP3 downloads and video clips; for me it's this blog, my free ezine, podcast, articles, etc. Way on the other end you'd have your highest price offerings -- corporate gigs, licensing, and sponsorship deals for bands; and more expensive home study packages, online courses, and consulting services for authors like me. 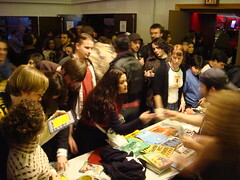 In the middle is another range of options -- you sell CDs, merch, and admissions to live shows; I sell books, special reports, audio programs, and live workshops. It's good to give people various points of entry like this. You don't want to price everything so low that you become the Wal-Mart of your genre or field. And you don't want to overprice everything and scare people away before they've even had a chance to sample what you do. How can you apply this concept to your situation? Make a list, from free to very expensive, of all the music products and services you can offer. Then be sure to make your fans and business partners aware of the various options they have to experience and enjoy you. Last month, Nick Nanton and I launched a new resource called 7 Secrets to Making Real Money with Your Music. It's available as both an online course and a physical product that comes in a binder with two audio CDs. And it's not cheap. The online version alone is $77. And I think it's worth every penny. But not everyone can afford (or they convince themselves they are not worthy of) that amount of money. And that's fine. Not everything you create will be suited for everyone. We produced this title for serious music makers who are ready to take their passions to a higher and more profitable level. 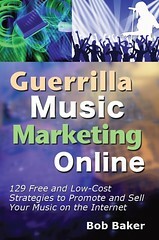 I'm making a 39-page section of my Guerrilla Music Marketing Handbook available for just $7. 39 Ways to Sell a Lot More of Your CDs, DVDs and Music Merchandise. One solid idea after another on how to boost your CD and merchandise sales. Includes a list of the top web sites and e-commerce channels where you can sell your music worldwide. 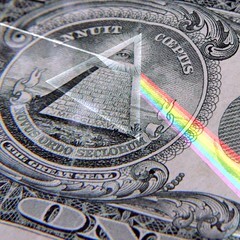 The Easiest Way to Make Money in the Music Business. Stop buying into the "starving musician" stereotype. The most prosperous musicians use this technique to support themselves. Here's what you need to do to thrive in the music business. 25 Ways to Finance Your Next Recording Project, Music Video or Major Equipment Purchase. It's one of the age-old music biz challenges: how to overcome a lack of money. Use these ideas to make, save and raise the extra cash you need. How to Double Your CD Sales (in 90 Days or Less). Want to sell a lot more of your music? Here's what the smart indie artists are doing to profit from their hard work and creativity. There you go. If 7 Secrets to Making Real Money with Your Music is out of your range right now, I understand. I've been there myself before. Then take me up on this offer to get a ton of money-making music tips packed into these 39 pages -- for only $7. Click this link to order. Note: If you already own the Guerrilla Music Marketing Handbook, you already have this section. But if you don't, it's a great way to get a very inexpensive taste of the great ideas contained in my best-selling book. If you want the entire Guerrilla Music book, the PDF download is only $24.95, and the paperback is $29.95 plus shipping. See? I just gave you a number of options to get more involved in my world and come play with me. Do the same thing with your fans. Variety is the spice, baby! Once again you communicate so much enthusiasm for making music and selling music and you make it all sound so possible and so fun! We Hippy Nuts have been using our "down" time to make videos and post them to youtube, and to record a single and get it up on ITunes. It's a cheerful song to get you through a depression. It's called "Smile on the Shelf"
We're even getting excited about re-arranging our studio, getting all the wires and the mics all laid out better so we can record at a moment's notice. There's always something to look forward to--something to keep ourselves busy. We have to keep making music for people to enjoy. It's what musicians are good at --cheering people up.. So everybody get to it! This is what I call "Chic Fil-a" marketing. When you go to the mall, the people at the Chic Fil-a restaurant don't give you the whole chicken. They give you a sample. If you like it you go, "hey that was good, can I have some more?" Well you only get one sample, and now its time to buy the whole chicken. The good news the money you spend on the chicken is going to be money well spent. Great job!